Day 2; "Is that a Butterfinger?" So temptation struck at work yesterday. We often have a large bowl of candy on the front desk that our receptionist brings in; which I normally ignore. However, yesterday, there were Butterfingers! As I have said before, I am not a candy/sweets person, but a frozen Reeses’ cup or a Butterfingers are at times, hard to resist; but I did. So yesterday was Kashi Go Lean (I know it contains honey, but I am on the fence about that) and almond milk for breakfast. 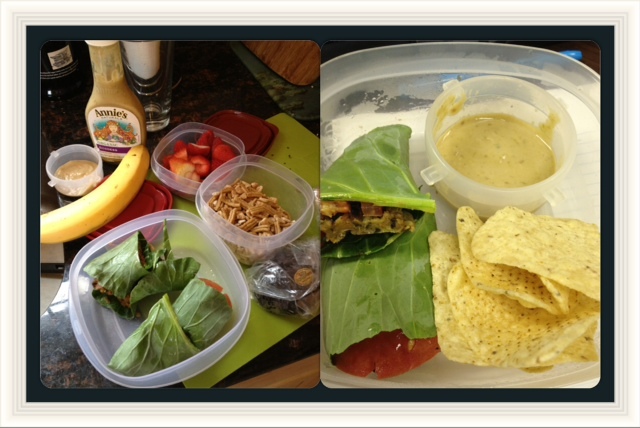 Snacks included a banana, strawberries and almonds, and for lunch, a lentil burger collard wrap. I have to say I was pleasantly surprised with using the collard leaf instead of bread or a tortilla, I just need to learn how to wrap things better. 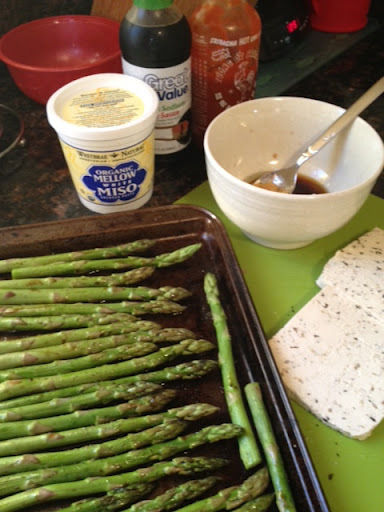 I used this recipe from Savvy Vegetarian, skipping the sunflower seeds and adding a little sriracha. A little tomato and Annie’s Green Goddess dressing with a half an avocado and chips made a great lunch. 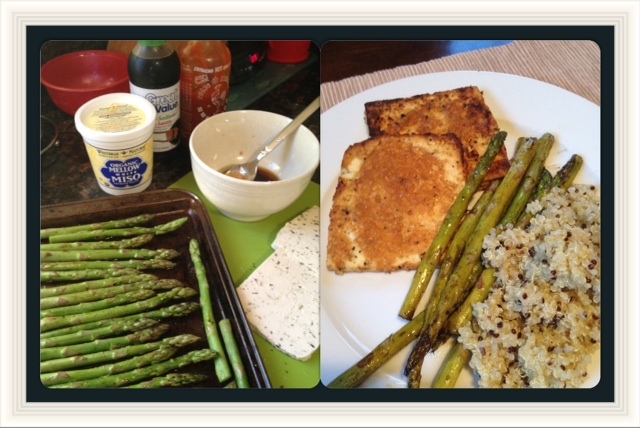 Dinner for Day 2 was baked Twin Oaks Tofu with a miso, sesame, sriracha glaze, roasted asparagus and quinoa. 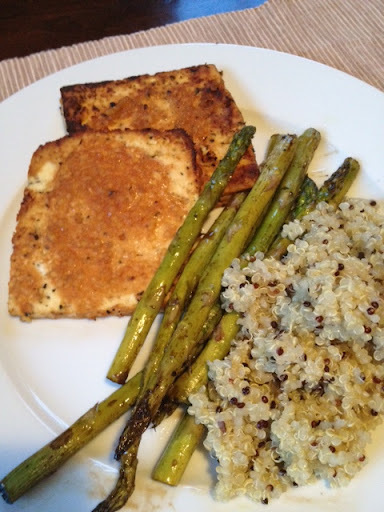 Packed full of protein, fiber and deliciousness, and I had plenty of quinoa and asparagus leftover for Wednesday’s lunch. So onto Day 3 I go, left overs for lunch, Kashi for breakfast and I am not sure about dinner, yet, maybe leftover lentil burgers, or possibly pasta… lots of choices.